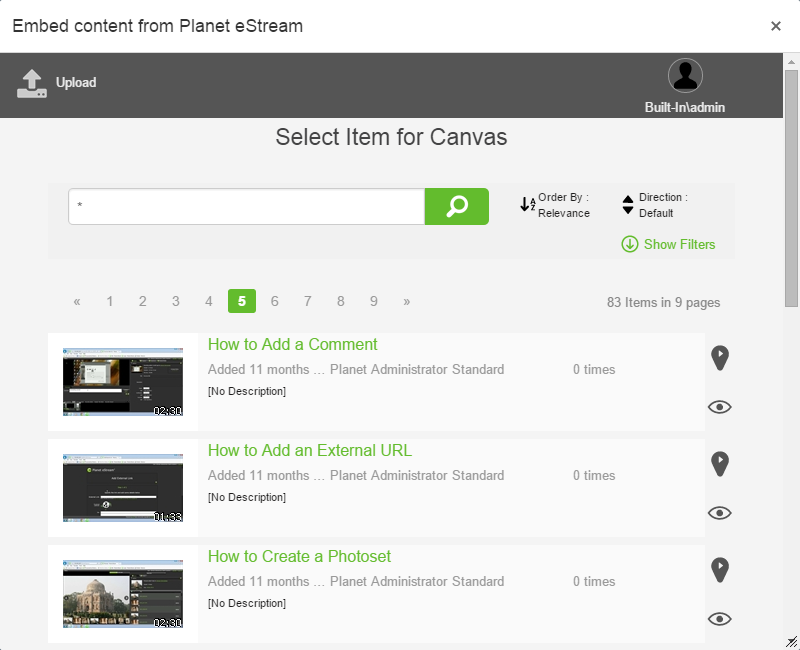 Embed video, audio, playlists, and photosets from your Planet eStream v6 archive directly into Canvas or upload and embed new audio/video content. This App is compatible with Planet eStream v6 and above. For more information on Planet eStream, please visit www.planetestream.co.uk. For installation and usage instructions, please refer to the help section of your Planet eStream website.